We all know that haunted places exist. 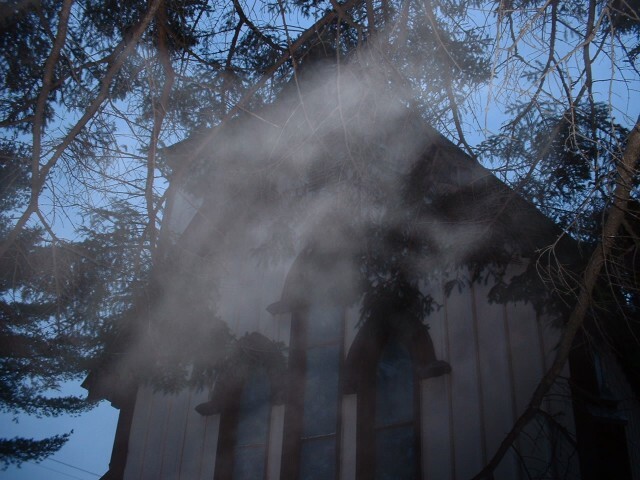 That chill along your spine, the feeling of dread, and sudden drop in temperature are all physical signs that you experience in a haunted locale. However, how do places become this way? Some very famously haunted places have well known ghostly residents who have extensive stories about why their spirits linger in a particular place—such as a person who was wrongfully tortured into death or deeply betrayed by a dear friend or loved one that resulted in death. Many places tend to naturally draw ghosts simply because of what they are and what naturally happens in those places, meaning that prisons, hotels, and of course cemeteries are favorite haunting areas for the departed who have not fully moved on. Yet, some of the most common places that are haunted may not have such a specific story or might be just a seemingly random house. Where do these spirits come from and most importantly how do they make certain places their base of operations for haunting the living? Each individual person is unique in personality, experience, and countless other factors. Therefore, the imprint of a deceased human (their spirit or ghost) retains these specialized factors if they are unable to move on after death. These unique characteristics mean that each story attached to each ghost and thereby haunting locale is different. Many different factors exist to explain how a place becomes haunted because of the natural ability of humans to vary from each other on numerous levels. Do not expect each haunted location to be haunted for the same reasons since they are all haunted by different spirits and therefore different people with their own stories to tell the living. Even though no background for a haunting will be exactly the same as another, some common themes do pop up in the majority of haunted places. The history of the building or area is always a primary factor. 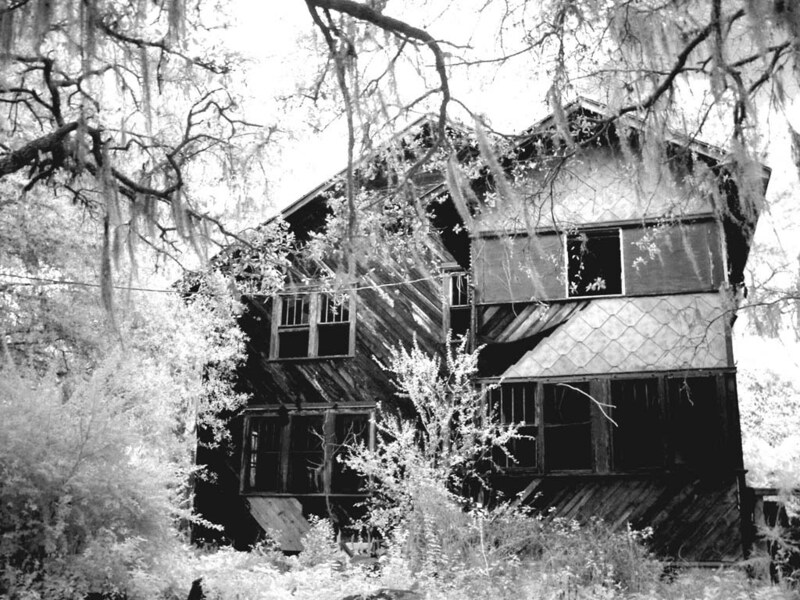 A very old place that has a long history of human use and habitation is more likely to be haunted than a newer one as the chances increase dramatically that bad things have happened there as the likelihood of at least one person experiencing something very negative at the locale is rather high. Bad events or situations always increase the probability of a place being haunted as well because spirits who have not been affected by ill fated happenings generally have no problem crossing over to the other side or moving on while those who are the center of such an occurrence feel bound to this world until they receive some form of justice, retribution, or simply someone knowing their personal stories of sorrow. Violent deaths, cruelty, and abuse are some of the most prominent events that bind a ghost to the earthly realm. Yet, other happenings like severe unhappiness, betrayal by someone dear to their hearts who they trusted implicitly, and even intense sickness can all act as a negative situation that makes a ghost feel they cannot move on even after the death of their mortal bodies. All of these attributes seep into the location whether in the walls of the building or the soil of the ground itself to leave a certain ghostly energy or impression. Battlegrounds in particular can be a place where actual blood seeping into the ground can create a spiritual residue where unsettled ghostly beings can manifest and linger on the land itself and even on buildings or houses that are later built on the historically blood stained ground. Overall, human pain and suffering are the major factors that tend to dictate whether a location will become haunted or not. It is not like many stories exist about ghosts who haunt sporting arenas or theme parks like Walt Disney World, and this rarity in spirit haunting examples links to the fact that those places tend to lack pain and in fact the locations are filled with happiness and high, excited emotions. Many spirits are considered to haunt places where their own personal pain was thought to be the greatest, but occasionally spirits will reside in places of general pain and suffering that was a part of their lives in some fashion. Ghosts basically tend to keep in places that they considered to be their own during their former lives and areas that was once very closely linked to themselves as a living human being. Many ghost hunters believe that spirits haunt places that are filled with strong negative emotions in order to tell the story of that area to living humans—which is why these deceased entities tend to haunt places that are the source of their personal pain and sufferings since they want others to know of their own story in that location. These spirit professionals know very well that a ghost makes noises or movement to let their presence be known to the living beings or because they are particularly upset at the time, linking to the very human aspect of mood swings. Most ghosts really try to make themselves known in a form that resembles the figure that they held in life so that living people could see them as they once were and hopefully impress the vivid memories that are holding them to the physical plane. The combination of their former selves (both in semi appearance, actions, and mannerisms) will generally be a way for them to let others know who they were and lead those individuals into an investigation of the spirit's personal past since their mere presence indicates that their previous life was not average, normal, or significantly filled with happiness. This desire to let the living know of their past hardships and uncommon problems or issues mean that the ghosts really will reveal themselves to all kinds of people from various age groups, walks of life, and most importantly whether these people who visit the haunted locale believe in the presence of spirits or not. Some of the most vivid ghost haunting examples that the majority of people can easily recall upon demand take place in a haunted house. However, there are several reasons why these home based tales are the most intense even though statistical investigations show that houses are very low on the list of places which can be frequently haunted by spirits. Our homes are our hearts. They are the safe retreat of the living as their own personal refuge, meaning that having an angry or upset spiritual entity invading our private and fortified spaces obviously makes us very scared and intimidated. That fact of being extra scary in addition to the major shock of even hearing about someone having a haunted home is enough to make anyone remember incidences of house haunting. Yet, pure numbers tell us that ghosts actually tend to avoid homes in preference of other locales. Ghosts need a great deal of energy in an area in order to materialize, and personal houses do not have enough to make manifestation easily possible for most spirits. Larger places that attract a greater number of people (hotels, cemeteries, museums, churches, ships, or even dance and music clubs) supply more emotional energy in the air for ghosts to use, which make them a better choice that the homes of living humans.